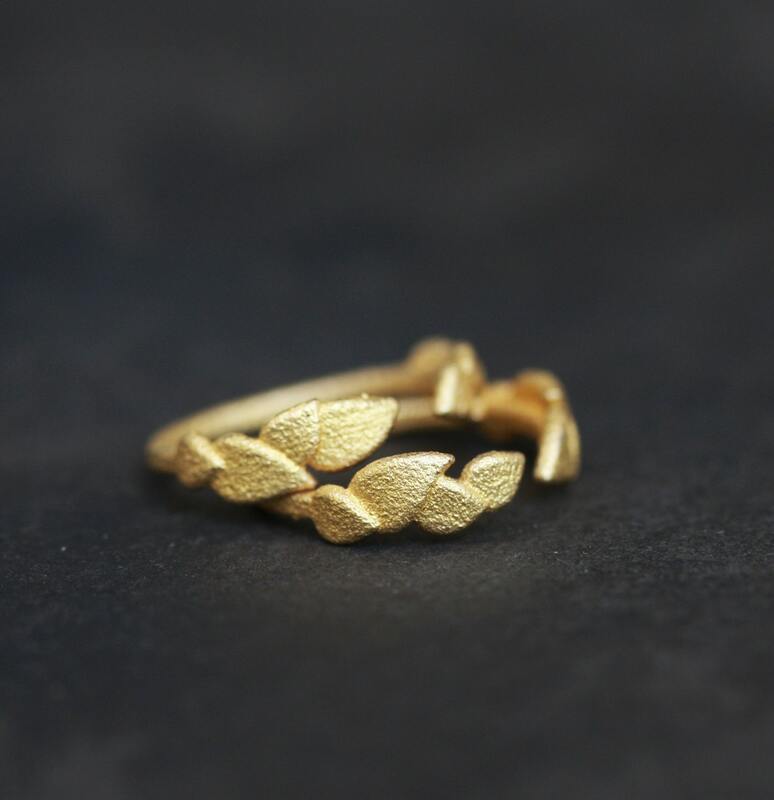 Delicate Leaves is a set of 2 stackable gold rings with an antique look. Style them with your dreamy boho outfit as they have some beautiful summer vibes! 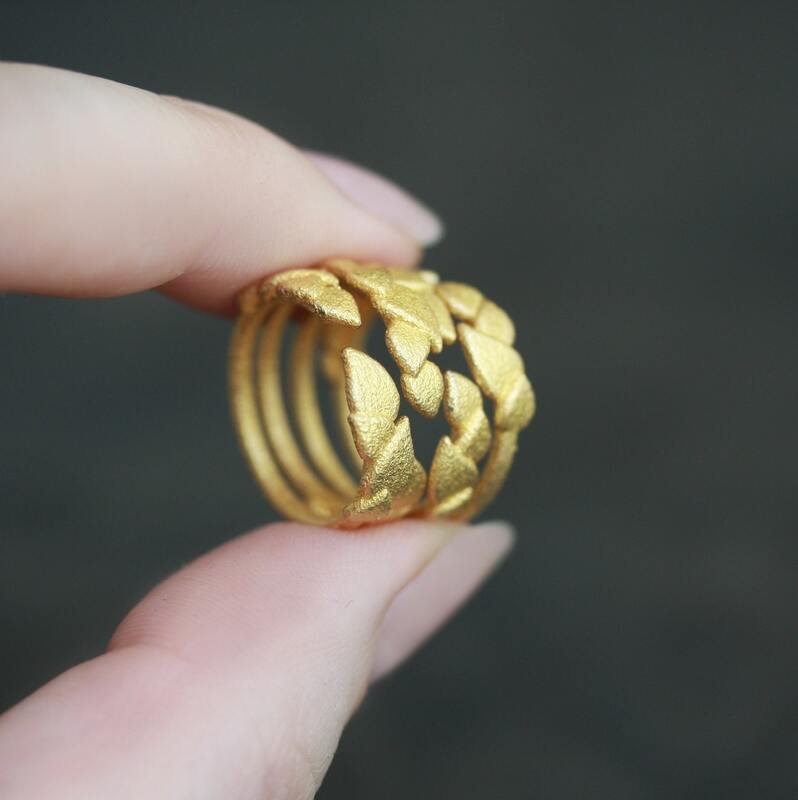 These rings are 3d printed especially for you! At MALINKO we believe in sustainable manufacturing where products are made to order which means they always find their owners. It takes 5-7 business days to make, but we promise that the wait is absolutely worth it! 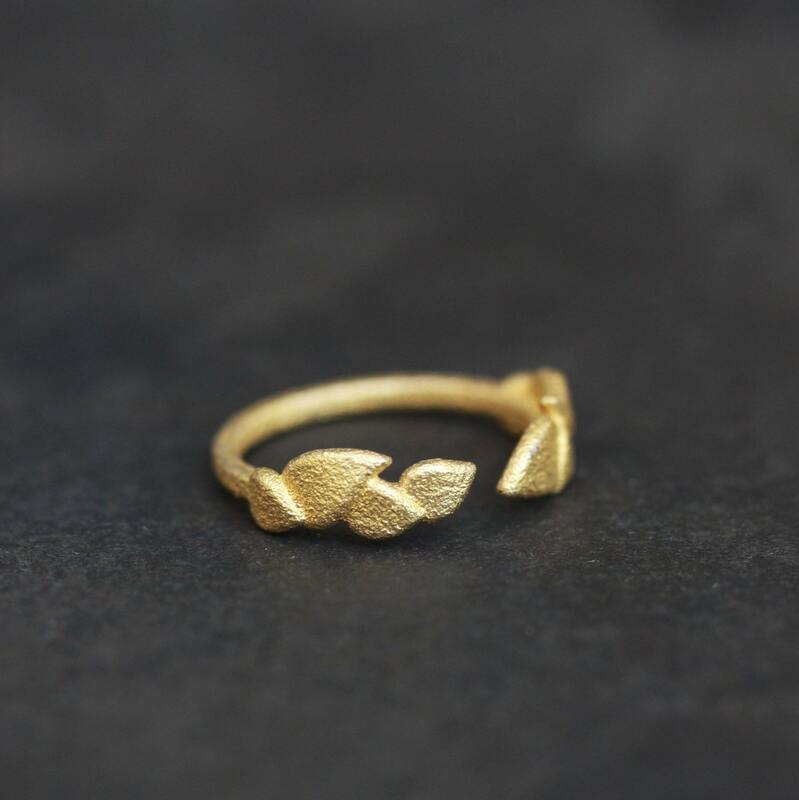 Materials used are stainless steel and 18K Gold plating. 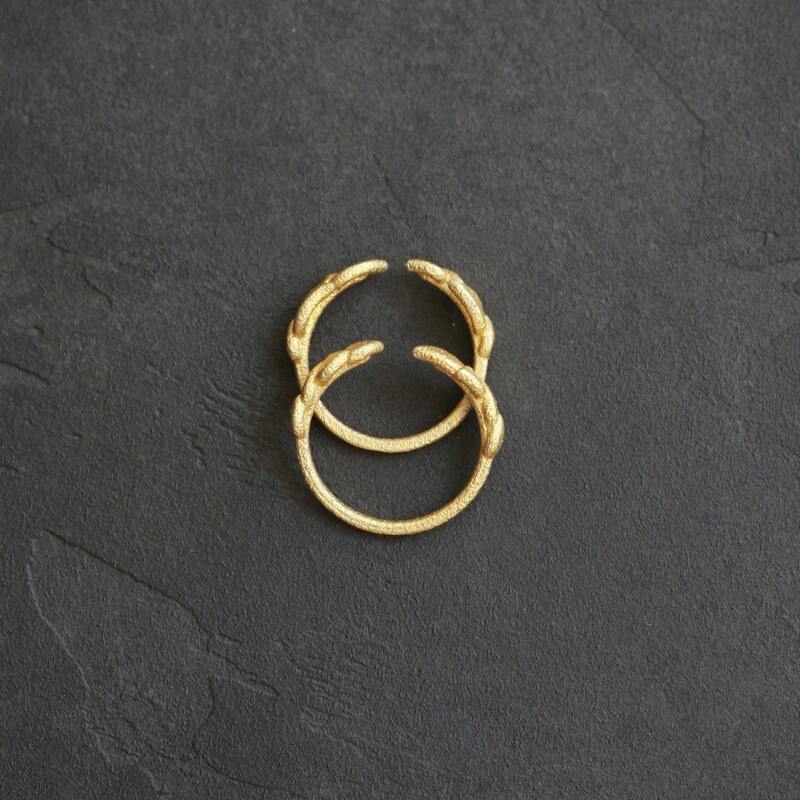 Rings are available in 3 sizes. - For ready items: Orders are shipped within 1 - 2 business days after payment is received. - For items produced upon order: it usually takes 2-3 weeks to produce any of our designs (depending on its complexity and size). - Please double check your mailing address! - Our shipping costs include standard postage fees and packaging costs. - All orders are shipped using Australian Post International Air Mail (no tracking). - We do not take responsibility for lost, stolen or damaged mail. - Insurance cover is available for additional cost. - Shipping time is 5-20 working days (however these are just estimates and can not be guaranteed). - Any customs fees and applicable taxes outside of Australia is buyer's responsibility. Please contact us if you have not received your order within 5 weeks. - Please contact us if you want to return any of purchased items. - Any returns must occur within 72 hours of being received by you. - If any item purchased in our store arrives faulty, it is eligible for exchange or refund. Please note that 'faulty' in this case means the product left our factory with some sort of issue or flaw. If purchased items have been damaged during shipping, they are not be eligible for a refund or return. To cover any shipping damage please consider insurance cover for an extra cost. - If the size of purchased item is not correct, please notify us and send the item back for exchange. As we are trying to be as detailed as possible with our size descriptions, we consider it is buyer's responsibility to take all the relevant measurements and pick the right size. In this case shipping fees are buyer's responsibility.